This week we celebrated Labor Day. A day – free from work. A day to spend relaxing, doing what we enjoy INSTEAD of work. Well, what if our work was something we actually enjoyed and looked forward to doing everyday?!? What a CRAZY idea right?! Not really…Exactly 1 year ago, I decided to be a Beachbody coach – at first for the discounts and maybe for a little family ‘fun’ money! It’s turned into SO much more than that for me! I look forward to getting up every day and seeing how my challenge groups are doing, or answering messages from people who want to get started on their own fitness journeys, or become coaches themselves. 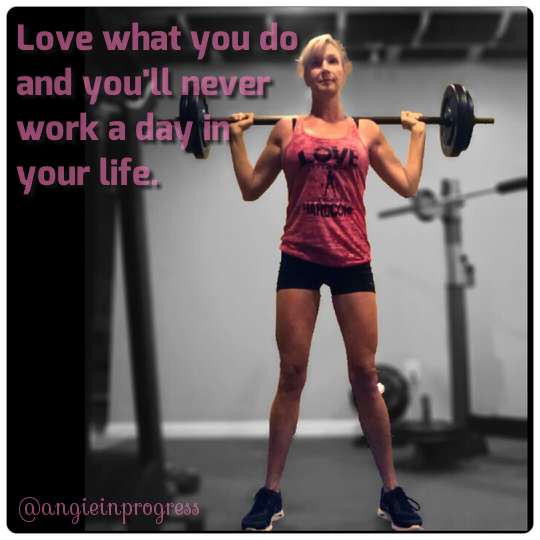 I get to workout, eat healthy foods and talk about it! If you know me, you know I like to talk! And it’s part of my “job” now! SCORE! 6) earning up to $100-$500 extra dollars per month to start, with the potential to double that within a year, and keep growing your income from there – All while having FUN! New 6 Week Internship starting Monday, Sept. 9!! Interested? I only have room for a couple more people who are ready to commit to a 6 week internship where you’ll receive daily training, and learn the tips necessary to build a successful business of your own. We start Monday, so let me know a.s.a.p.! I am interested in being a coach! Please tell me more. Fine print: Sorry, no coaches or those working with other coaches. Previous PostPrevious Grasshoppers Taste GOOD! Next PostNext Can’t Stop Stuffing Veggies!